Khoo Wei Ling is an executive at Tan Tock Seng Hospital. One wouldn’t expect a bioengineering graduate who does audits and administrative work to run an online boutique business. But hey, here’s to breaking stereotypes. 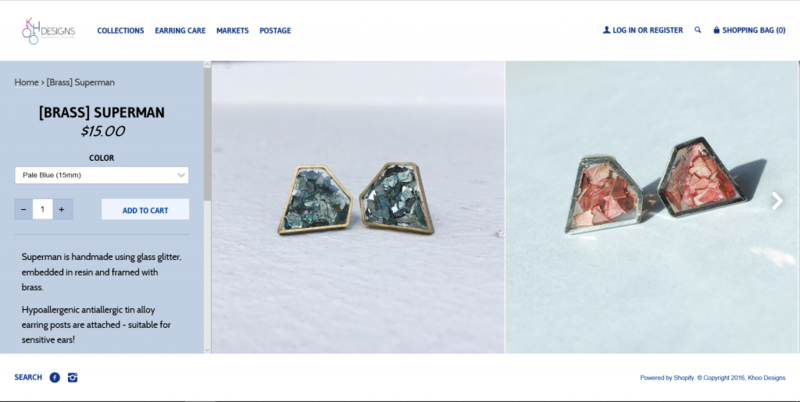 Over the past few months, Khoo hand-makes and sells earrings under the brand Khoo Designs. She got the idea at the place where all good ideas come from – the shower. Obviously, Khoo didn’t know much about making earrings before. She learned through watching Youtube videos and reading whatever she could get her hands on. Handling small fragile objects that are earrings can be tricky for the butter-fingered. But Khoo found that she truly enjoyed the “manual work”. What started as a productive way to pass her time slowly gained a sustainable following. First it was just family, friends and classmates. But there are now orders from strangers. It’s a decent progress considering she just started Khoo Designs in October 2015. Khoo describes her designs as “Simple and Elegant.” Her earrings are the studded kinds. Perhaps some may think that stud earrings are too simple, however, it appears that it’s their simplicity that appeals. “Perhaps the shapes I have to offer – Superman and Heart-shaped, made the design stand out even further,” Khoo muses. Admittedly, Khoo’s earrings seem to boast little. But perhaps that’s why they seem to be doing well – the everyday pair for the everyday girl offering just a touch of uniqueness at an affordable price from SGD11-15. Khoo started with earrings because it’s something she personally wears. Since the end of March, Khoo Designs offers necklaces. There are two designs so far, made of anti-tarnish materials. 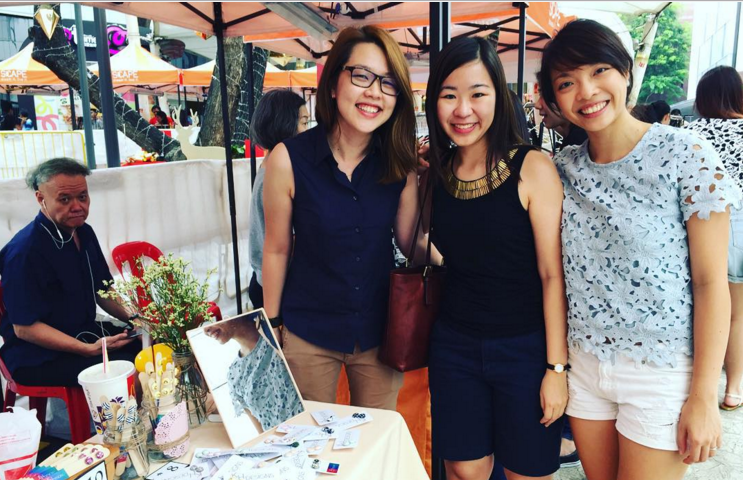 Khoo makes appearances at local creative and flea markets to show off her studded wares and build awareness of her brand. She doesn’t intend to go fulltime with this though. “Though I love doing it, my calling is to teaching. Hence, it will stay as a side line, a hobby.” She does hope, however, to turn her little project into something that would contribute back into the community. Maybe it’s just through making accessories all women can wear, or maybe it’s through her revenue. Whatever it is, Khoo puts her heart into her work.